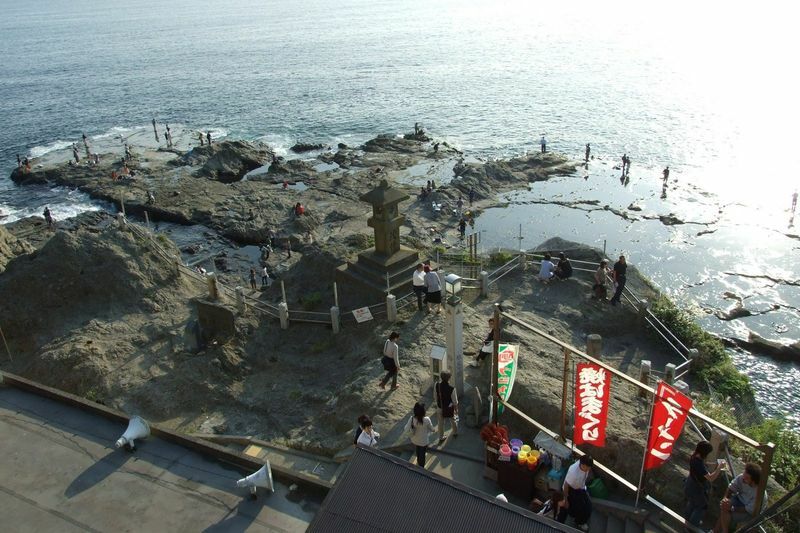 Enoshima is an island belonging to the town of Fujisawa few kilometers far from the famous Kamakura. It is connected to the mainland by two side by side bridges, one is pedestrian-only, while the other is for cars. 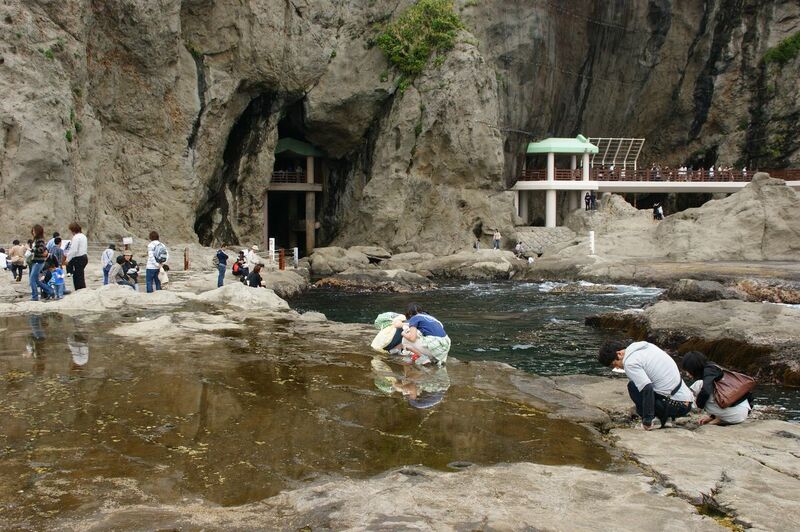 Like Kamakura, this area is also very popular for summer beach tourism. Not so much the island of Enoshima itself, which is characterized by the presence of a large marina in the north, and by a rugged and rocky coast in the south, and therefore hasn't real beaches, but they are located in front of it: Koshigoe Beach on the east side (and as a continuation Shichirigahama beach up to Kamakura), and all the sandy shore of the Sagami Bay that stretches for several kilometers on the west side. 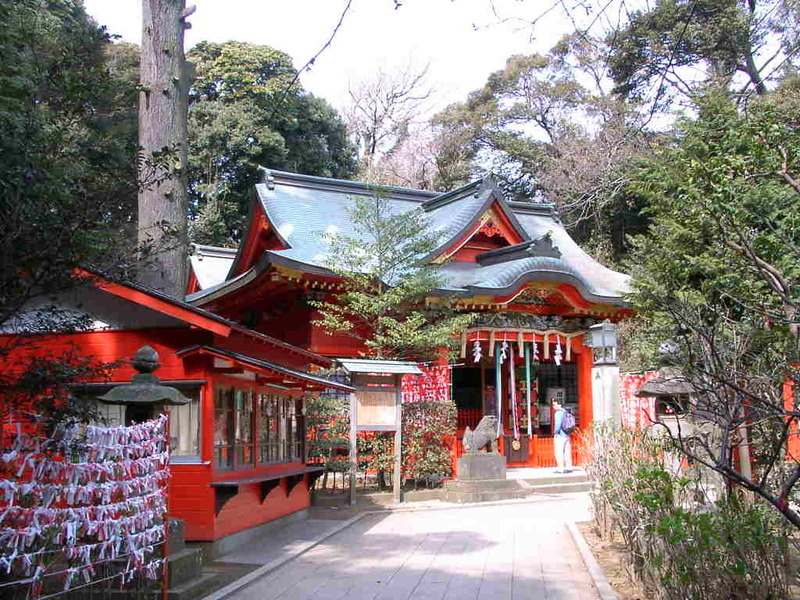 This area is also known as Shōnan. 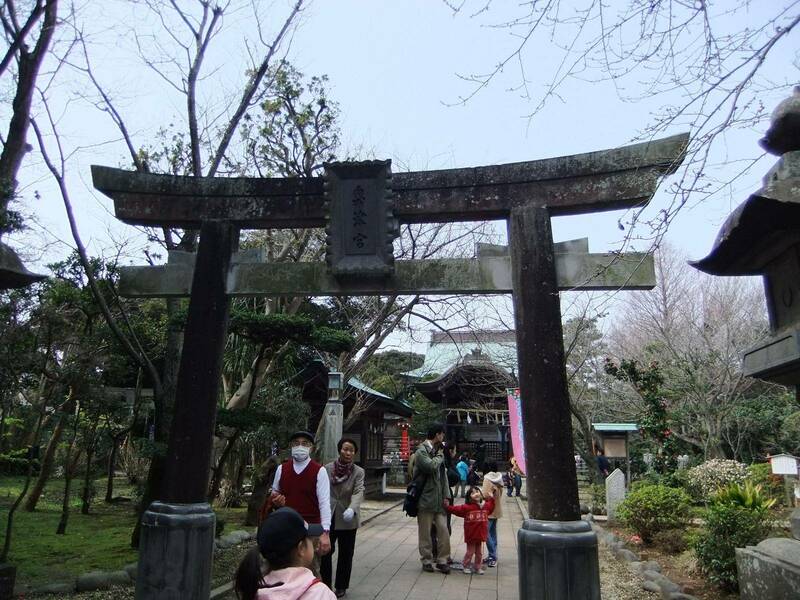 With this name we refer to a complex of 3 shrines that are scattered on the island: Hetsu-no-miya, Nakatsu-no-miya, Okutsu-no-miya. Hetsu-no-miya jinja (opening hours 8:30-17, 150 yen to see the statue) is the most famous,and houses inside the Ho-an-den (an octagonal building) one of the most valuable existing statues of the goddess Benten, as one of the few examples in the world where the deity is depicted naked. In the south coast there are two caves opened to the public, that are reached by going down a long stairway (220 steps). A first cave, that is divided into two parts and is 45 meters deep, inside hosts several statues of religious nature, mentre la seconda ospita una statua raffigurante un drago feroce di colore verde, while the second houses a statue of a fierce green dragon, which according to legend once lived inside the cave. A park/botanical garden which owes its name to such Samuel Cocking, an English merchant who in 1880 bought most of the island, building his villa and a botanical garden, where he collected tropical plants. 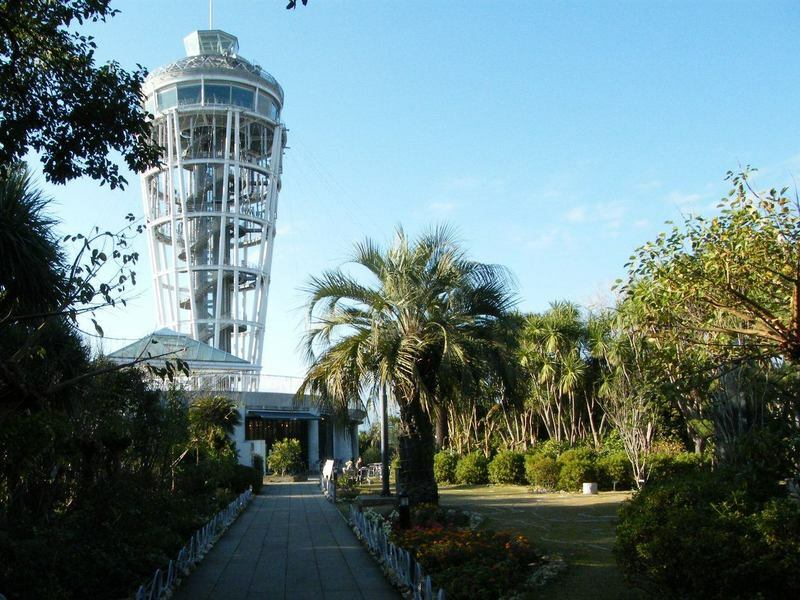 Today there is still a botanical garden (rebuilt) and it also contains a lighthouse tower recently built (Enoshima Sea Candle, admission 300 yen) on which you can go up. The tower itself is 59 meters high but the observation deck is 120 meters above sea level. If the weather is good, the view of Mount Fuji is simply amazing. This aquarium isn't located in the island but in front of it (see the map). 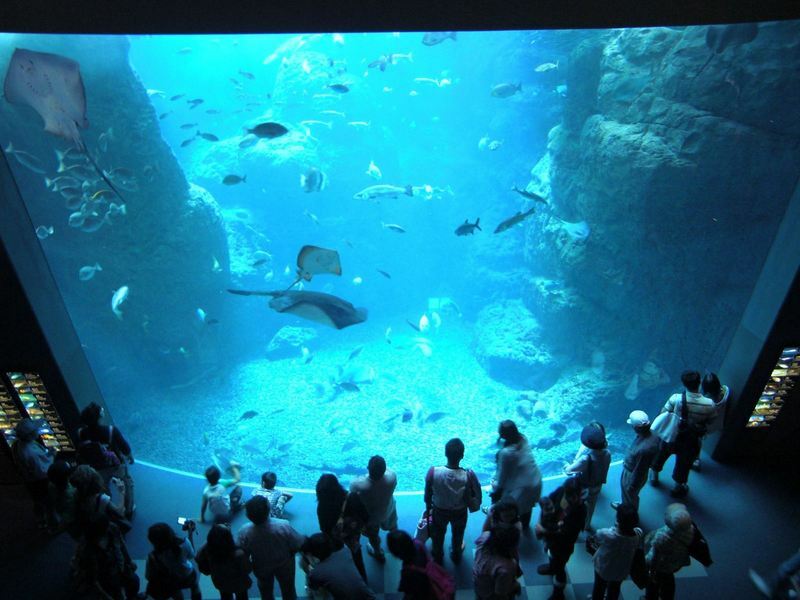 It is one of the biggest aquariums of the Kanto region and is home to about 20,000 creatures, in particular I report a collection of jellyfish with some truly spectacular specimens, and the opportunity to touch the back of small specimens of shark. 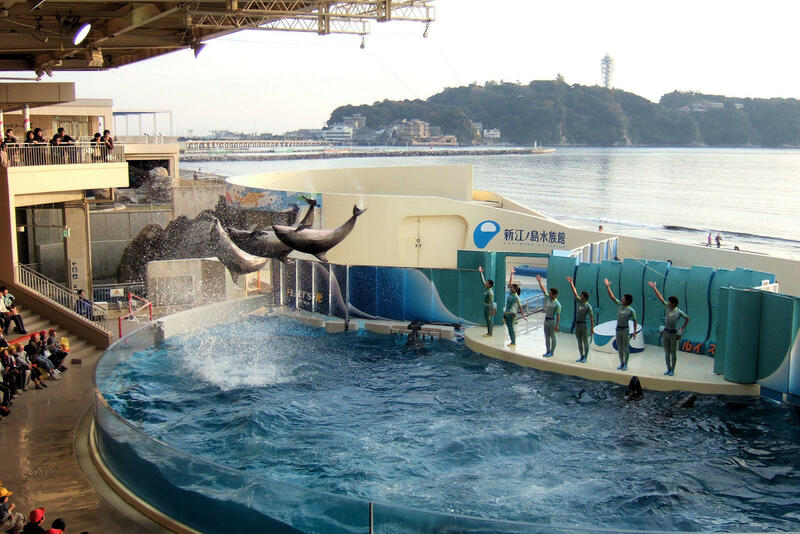 There's also a small "stadium" where they perform shows with dolphins and seals. 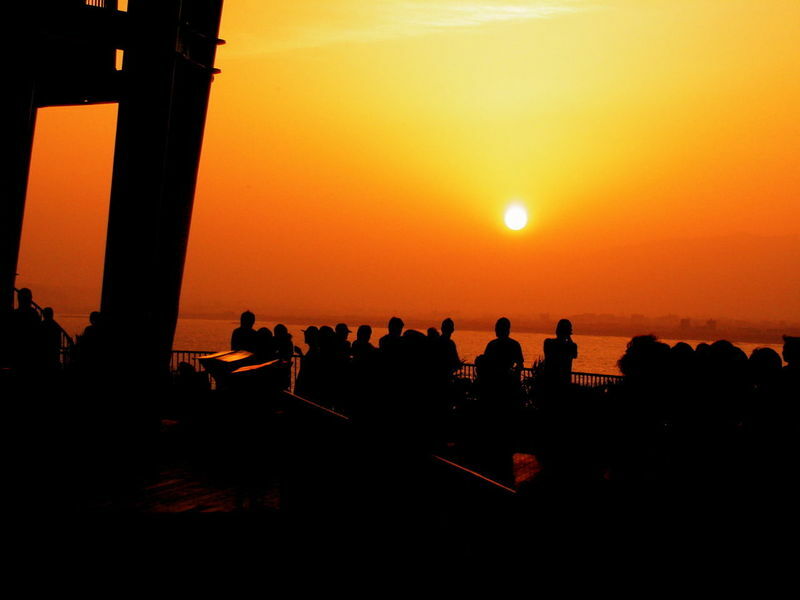 The summer weekends are the busiest days in which you should never go. 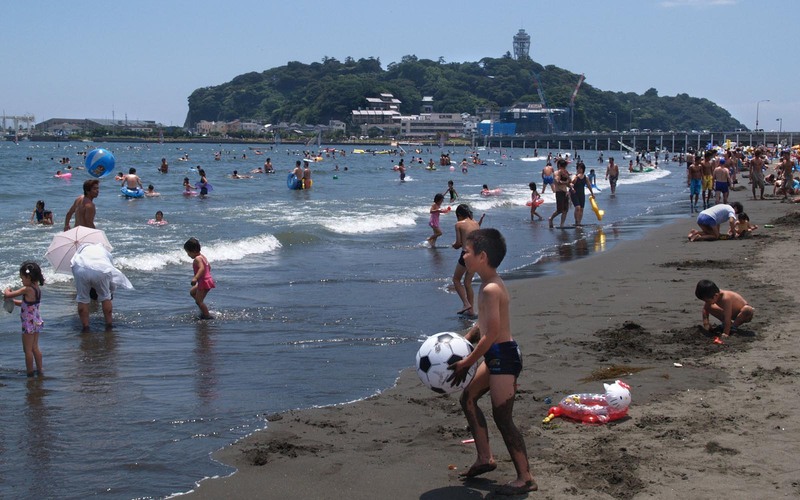 Enoshima and surroundings are famous in the whole region as a place to go and eat fresh fish and seafood, maybe in a little restaurant right by the sea. -Shirasu-don, a bowl of rice (donburi) with some shirasu (raw or cooked, often with other ingredients), the Japanese term for baby sardines. 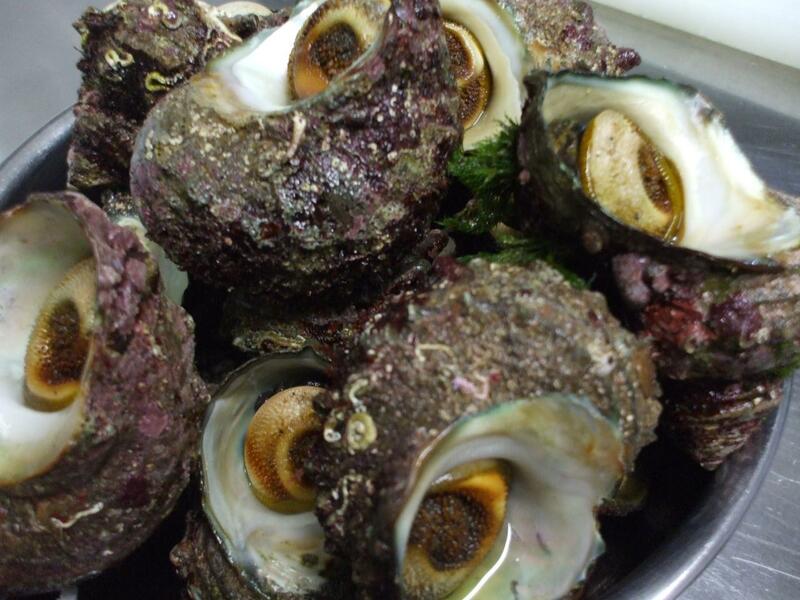 -Sazae, Japanese term for a species of sea slugs, in English called "turban shell". 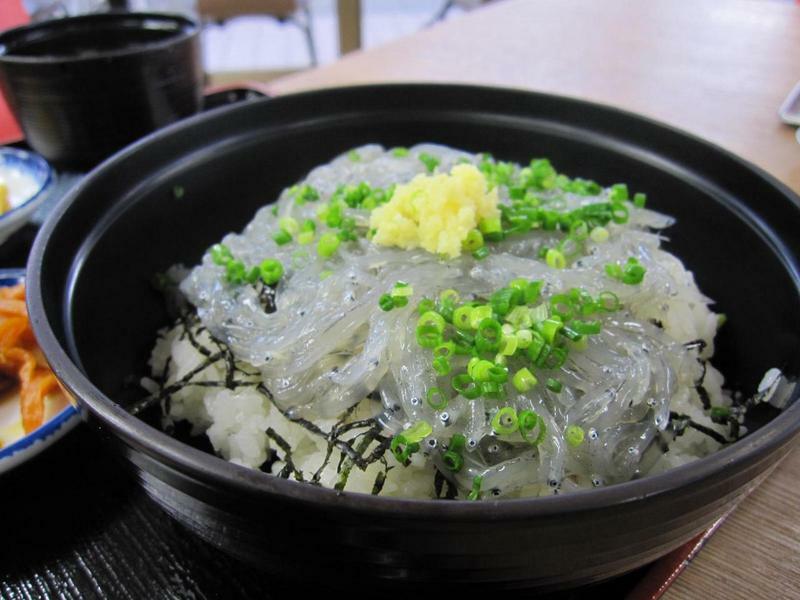 They can be eaten in various ways, for example in a donburi (Sazae-don) or simply grilled (tsuboyaki). The Enoshima Electric Railway (Enoden) connects Kamakura station to Fujisawa station, stopping also at Enoshima station which is the nearest station of the line to the island of Enoshima (about 1 km). It takes about 25 minutes and the whole journey costs 250 yen. From Ofuna station you can take the Shonan Monorail, a monorail that, in 14 minutes and at a cost of 300 yen, reaches Shonan-Ehoshima station, about 1 km far from the island of Enoshima. 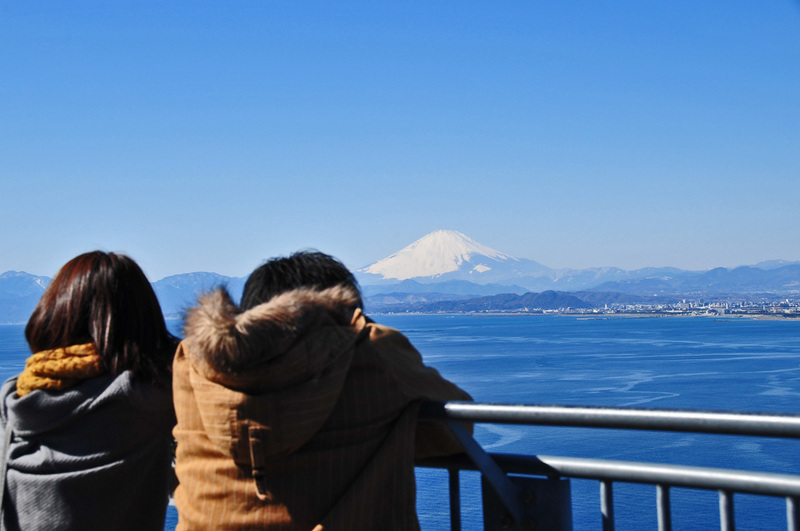 To reach directly Enoshima from Tokyo (without passing through Kamakura), go to Shinjuku station and take the private line Odakyu Odawara line to Sagami-Ōno station. 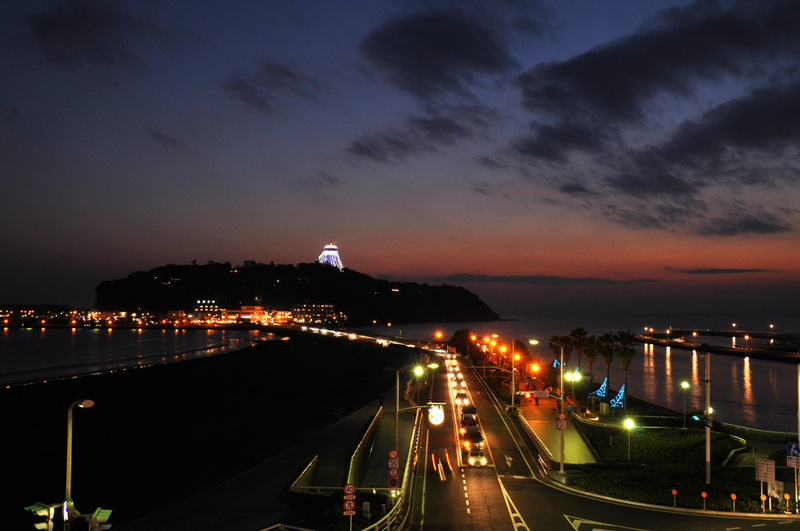 From there take the Odakyu Enoshima line to the terminus Katase-Enoshima station (located 900 meters from the island). It takes overall 70-80 minutes and the whole journey costs 610 yen. There would be also other solutions, but are more expensive so I will not speak about them. 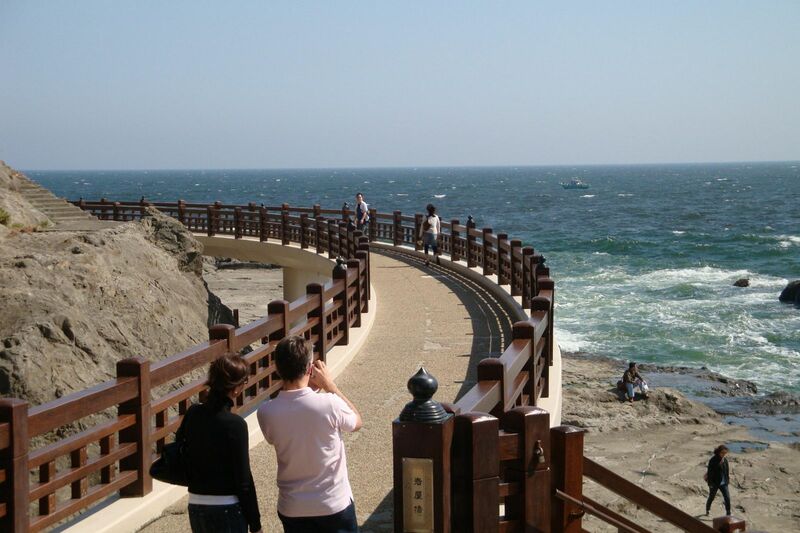 Enoshima is usually visited together with the nearby Kamakura, and there is a cheap enough option to visit both, called Enoshima Kamakura Free Pass. 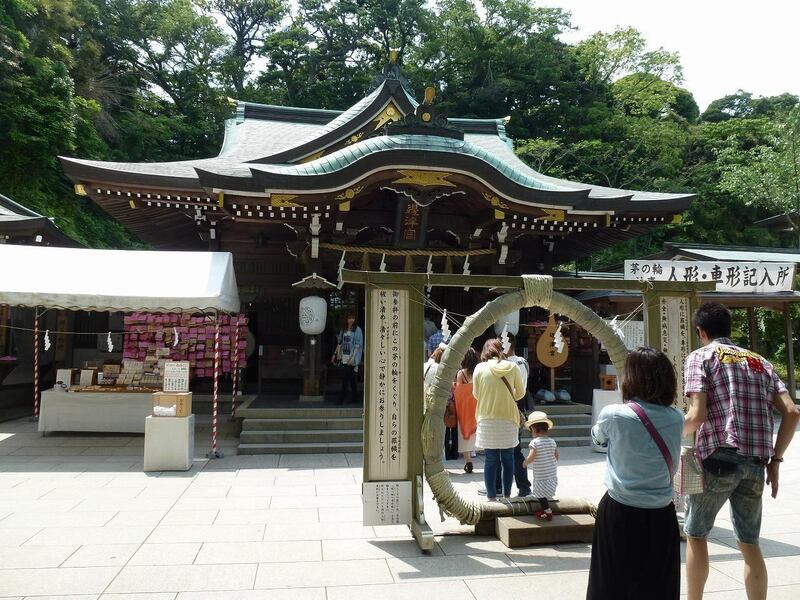 For more information about this PASS and how to move from Tokyo to Kamakura/Enoshima in general, see also Pratical guide: how to get to Kamakura and map.